Each year around now, a slew of summer movie pieces pop up in magazines and newspapers. We’re suddenly bombarded with talk of what’s going to be this year’s indie breakout hit and whether the counter-programming of releasing romantic comedies the same weekend as blockbusters will work this year. While these and others certainly frequent the headlines, no subject is more superfluous than sequels. We’re constantly reminded that this year, guess what, there’s a whole lotta sequels coming, as if the past year were any different. A collective groan is heard around the world as we realize that like other areas of commerce, the decision makers are banking on selling you the consumer the same thing, over and over again. Wouldn’t it be great though if the studios really looked into what makes a movie successful? From my perspective, there are two key elements that the common moviegoer might enjoy in a film, the characters or the story. If the characters were great, then sure, it might work. Get a talented writer to throw them into a new situation and believe it or not, the sequel could be good. If the story is great however, how much are you really going to be invested in a different story with the same characters? Countless horrendous drama sequels certainly tell this tale. Instead of trying to recreate a film, what if studios aimed to recreate the feeling a film gave you. If a successful film is engrossing, exciting, very natural, then the sequel should be replicating those feelings through good writing, original sequences and careful editing. So often though, the story is the first thing replicated, with a little minor tweaking. As long as they keep making money(or at least one occasionally makes a lot of money), sequels aren’t going anywhere. There’s too much to be gained from a franchise at least capable of becoming a faulty slot machine that keeps on hitting. They’ll always be budget for this type of film, even in a business so afraid of risks. That being said, I am ridiculously excited for “Spiderman 3” and will probably see “Shrek the Third” opening night. Its a given that Hollywood’s sequelitis is here to stay. If it is accepted that a sequel that makes 2/3 or so of the original’s successful box office receipts, you can be reasonably assured that there will be more. Throw in the usual cable/pay tv/DVD sales, its hard not to question why studio heads green light the sequels we see at the multiplex. Michael, I’m not sure what you are referring to in the second to the last paragraph? The picture above depicts the AMC Empire in NYC. Did that theater close? I was copying and pasting the post-article snippet that I always include and I accidentally copied the last paragraph from last week’s column about the Mann National. 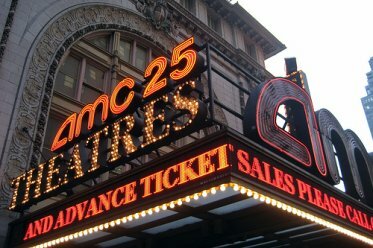 To my knowledge, the AMC 42nd Street isn’t going anywhere. Just included the picture cause I liked it and with it being an article about a modern-day trend(or at least one that seems to have reached its zenith lately), I felt a theater that really exemplifies our time was appropriate. I’m going to turn 40 this May 7th. I never actually started to feel my age until Hollywood recently started remaking movies from the 1970’s! Is this the only thing cinema culture has left to communicate to our society? Do movies have anything left to teach us? Is there any value left in cinema arts? Will today’s youth ever learn to appreciate the classics like CASABLANCA, CITIZEN KANE or even the original 1933 KING KONG without it being a required viewing in film school? So, for this summer, unless I’m dragged by my wife, I am boycotting SPIDERMAN 3, SHREK THE THIRD, PIRATES 3, LIVE FREE OR DIE HARD and any other Hollywood blockbuster that’s been done befoe or has a roman numeral at the end of the title. Thanks for listening to me vent for a while.